In a city like New Orleans, it’s incredibly easy to never leave. From world-class food to outdoor wonders; from nightly concerts to Saints games in the Dome, it’s easy to never tire of exploring our city. In fact, we advocate being a tourist right here at home! And for those times when you do want to get out of town, we have an abundance of incredible locales just a short drive away. But…every once and awhile many of us tend to get that itch to really get out of town, don’t we? As much as we love being home or hitting the road for a weekend getaway, we also love to travel. Take a scroll through your Instagram page, and you’re sure to see friends (or strangers) posting unbelievable photos from every corner of the world. Luckily, with the ease of travel these days, you’re just a flight away from taking in the sites for yourself. So, pack your bags and put on your dreaming hats. Let’s look at some luxury vacations of a lifetime; there may be a few places you’ve never even thought of! It’s one of our favorite travel photos: snow-white villas dotting a hillside in front of a deep blue sea. This is one the world’s most romantic backdrops, and Santorini is perhaps most famous for this amazing setting. 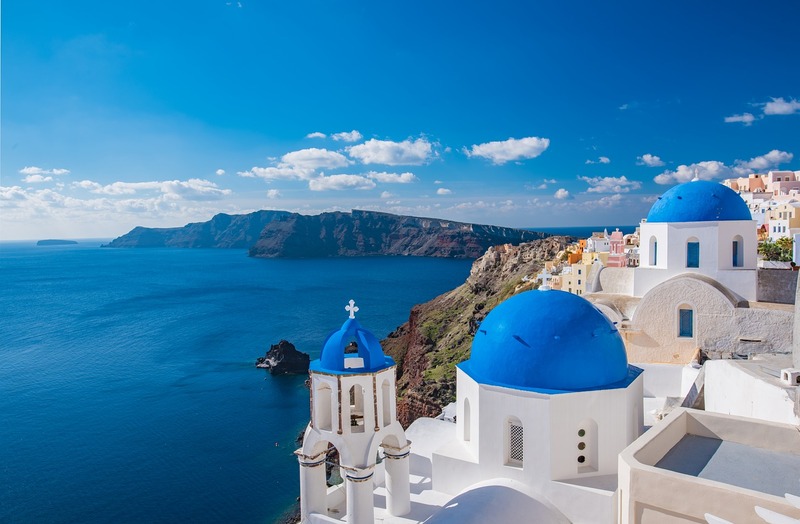 Nestled in the Cyclades, Santorini has risen to the top of the list of the gorgeous Greek islands. Here you’ll find 5-star, hillside hotels complete with infinity pools and spas. And if you choose to leave these amazing residences, there’s a burgeoning food and late-night scene. Condé Nast recommends coming in the Spring and Autumn when there are fewer cruise ships and more sun! Dubai, and the UAE in general, is a world full of mystery. It’s one part incredibly modern/progressive, another part beautifully ancient/preserved. Depending on what part of town you visit, you can see amazing, new skyscrapers or fantastic, antique souks (markets). Look one way and you can see a line of the world’s fanciest cars; look the other way, and you can see vintage dhows (boats) trolling passengers down the river. Dubai is home to the world’s tallest building, the Burj Khalifa and one of the world’s greatest food scenes. There’s food, people, and culture, all beautiful and from all over the world. 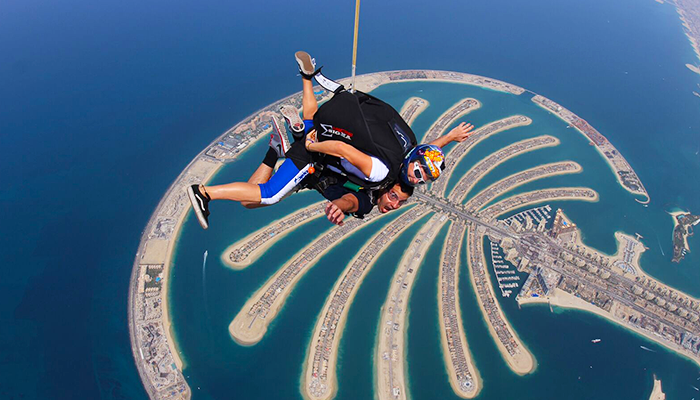 With images like the one above, where you can skydive over a man-made island shaped like a palm, Dubai is a place that truly has to be seen to be believed. Close your eyes and picture the excitement and beauty of an African safari. What you’re picturing is most likely Tanzania. This quintessentially African paradise has a bit of everything. It’s home to Serengeti National Park, perhaps the world’s most famous nature reserve. It’s also home to some of the greatest up-close safaris as well as the Ngorongoro Crater and the Selous Game Reserve, all where you can see lions, elephants, hippos, giraffes, antelopes, zebras and more! Often forgotten, Tanzania is also home to a gorgeous shoreline along the Eastern coast and will soon be home to Africa’s largest luxury resort. Speaking of accommodations in Tanzania, you can stay at unbelievable, private camps where the service and privacy are second to none. 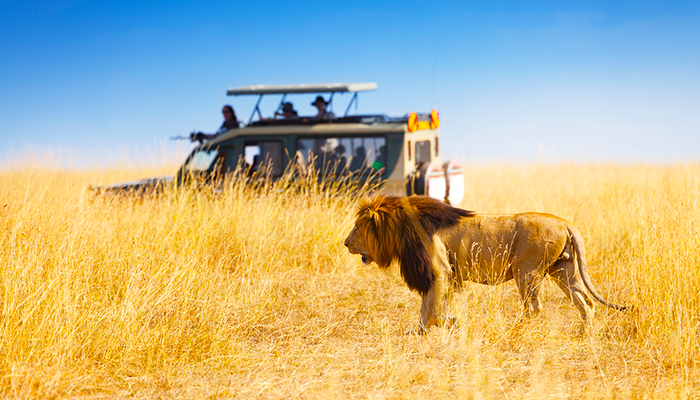 If you’re looking to take a walk on the wild side, hop in your 4×4 for an African safari in Tanzania! Condé Nast Traveller recently named the Maldives one of its “top 10 places to travel in 2017.” The Magazine also mentioned that it’s surprising that they’re not running out of islands as a new hotel seemingly pops up each day! Luckily, there are still plenty of islands to explore in the Maldives. A string of them to be exact, located off the Southern tip of the Indian subcontinent. 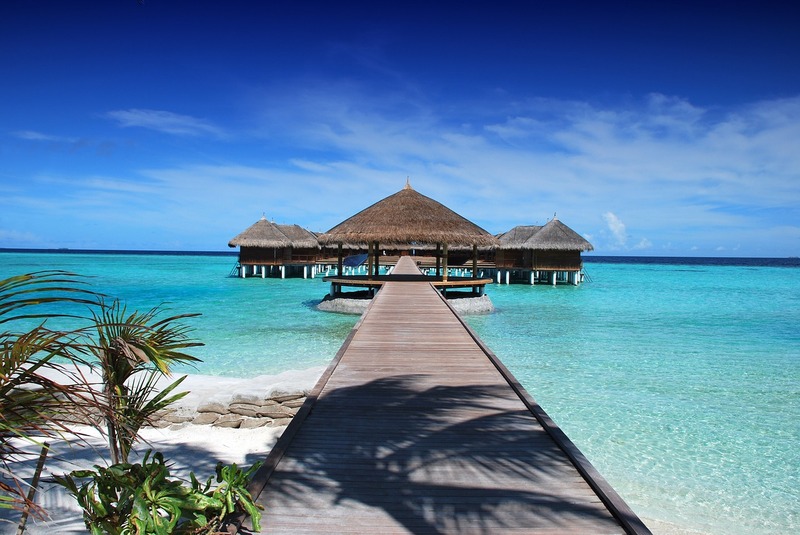 Known for its thatched roofed huts that sprawl out into crystal blue water, the Maldives are becoming the “it” spot to honeymoon. And, it’s easy to see why. The privacy and tranquility are truly unmatched. Plus, you can do a little bit of everything. You can sit on the gorgeous white beaches sipping piña coladas, or you can head out into the sea to snorkel, scuba and fish. Whatever you choose to do, you’ve already made a good choice by being in the Maldives! “The closest thing to Eden on Earth.” That’s how Lonely Planet describes this place, and perhaps the most chill spot on our list. 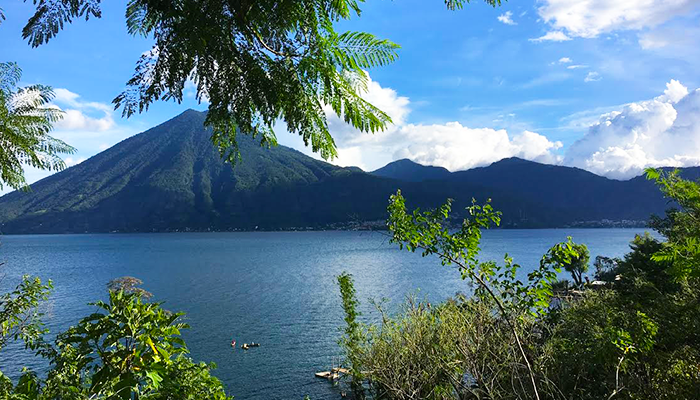 Perfect for the yogi in your family, it’s impossible not to feel one with nature while at Lake Atitlan. While on the water, you are surrounded by volcanoes, but in fact, you are in the middle of the world’s oldest supervolcanoes!! While the scenery is certainly breathtaking, the people and the culture are equally as special. There are many indigenous Mayan people in the villages around the lake. These kind people and their artisan crafts are a true treasure to behold. If you’re looking for a hidden gem of a trip, this is it. You can relax at luxurious yoga/eco resorts, hike volanoes and shop in Mayan markets. And you can do it all at one of the most beautiful lakes in the world, Lake Atitlan! We’re local. We’re global. As an affiliate of Leading Real Estate Companies of the World® and Luxury Portfolio International®, GARDNER REALTORS has connections to the very best real estate brokers all around the world!